Cinema For All is looking to appoint a new trustee to join our Board. Salary: Voluntary position. Reasonable expenses will be paid in the conduct of this role. 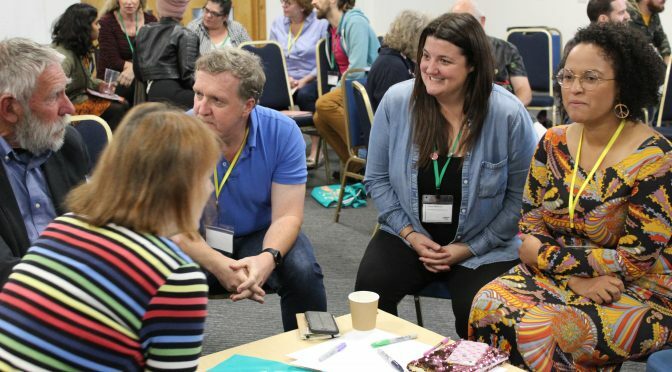 Hours of work: Four quarterly Board meetings per year: one held in London, three at our National Office in Sheffield, attendance at the Annual General Meeting and Community Cinema Conference weekend each year. Additional sub-committee work may take 3-4 hours per month depending on activity undertaken and time of year. Cinema For All values diversity, promotes equality and challenges discrimination. We encourage and welcome applications from people of all backgrounds. We particularly welcome applications from disabled and black and minority ethnic candidates, as they are currently under-represented on our Board. To apply please forward your completed application form and equal opportunities monitoring form to abi@cinemaforall.org.uk by 2 pm on 18 February, 2019. Interviews will take place in Sheffield or London week commencing 25 February, 2019. Previous Post:MARJORIE AINSWORTH CELEBRATES 80 YEARS OF FILM SOCIETY MEMBERSHIPNext Post:STUDENT PROGRAMMERS DAY: PROGRAMME ANNOUNCED!